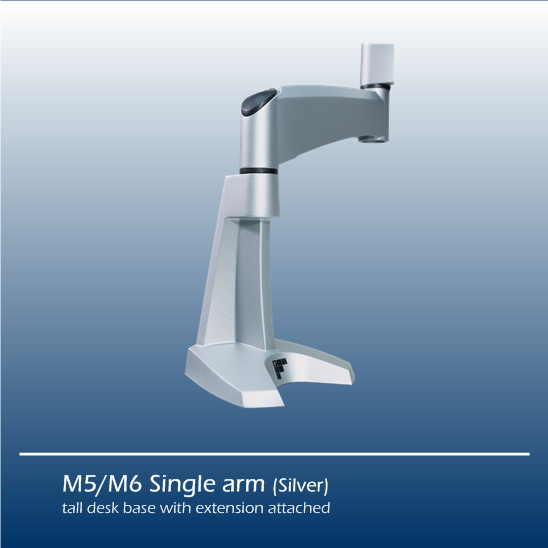 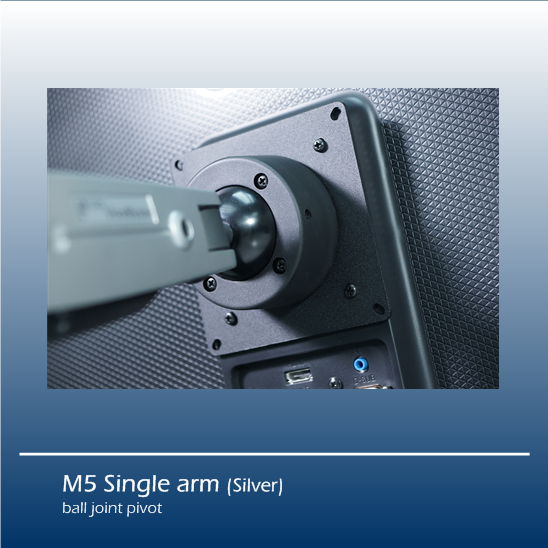 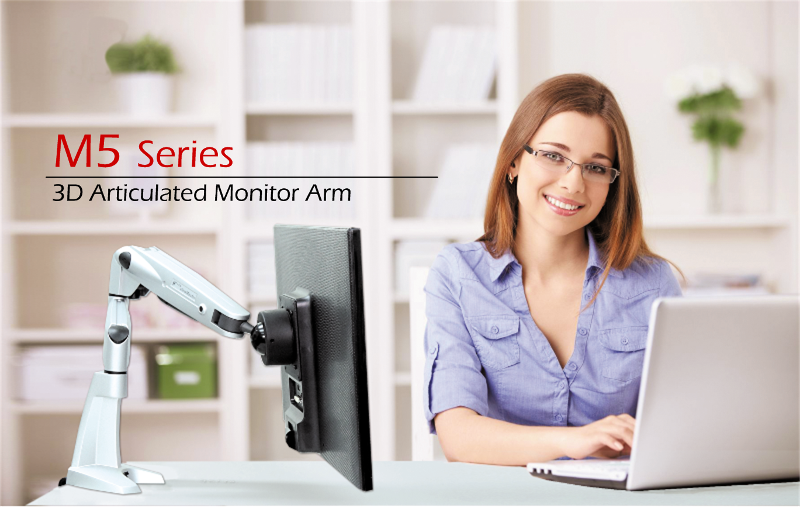 M5 Series arms let you optimize your monitor viewing angle / position by providing full 3-dimensional ergonomic monitor positioning. 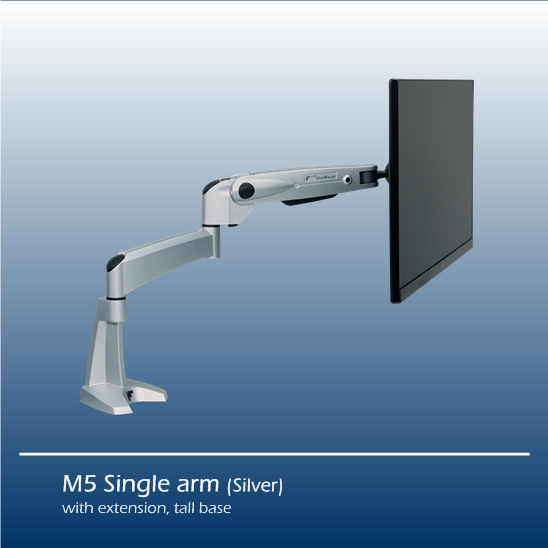 Our advanced gas-spring and ball-joint mechanism allows effortless adjustments to be made to your monitor height, tilt, swivel, swing and extension. 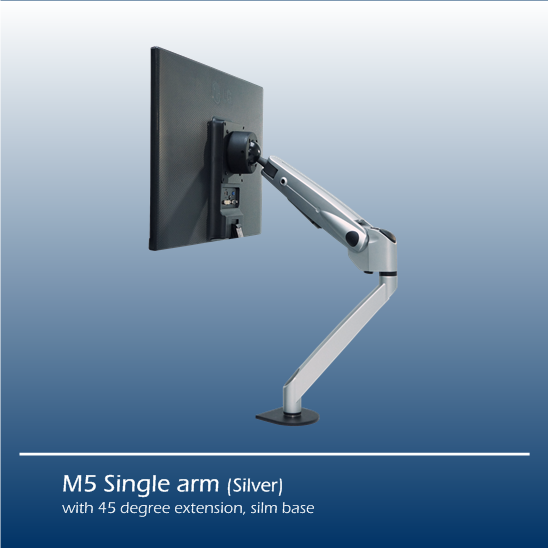 Achieve almost any viewing angle / position with a quick adjustment or retract the arm to a compact size to increase your work surface area. 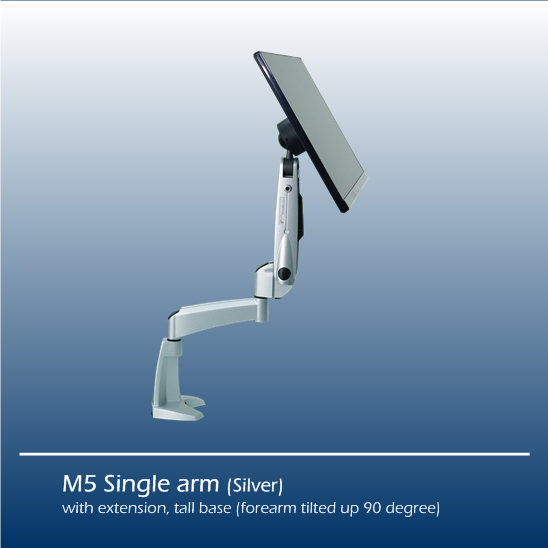 The die-cast aluminum body offers superior strength and an attractive addition to any workspace.